Costa Rica is getting set for a final warmup before taking the big stage in the Copa América Centenario in June. Coach Óscar Ramírez and the men’s national team will be able to fine-tune any last-minute adjustments against South American Football Confederation (CONMEBOL) opponent Venezuela in Friday’s friendly at the National Stadium in San José. In the exhibition game, Costa Rica will be seeking revenge against “La Vinotinto” for a sloppy, 1-0 loss earlier this year in which the Ticos were down to nine men after two players were sent off with red cards in a February friendly in Barinas, Venezuela. Although the Venezuelans are historically one of the weaker teams in CONMEBOL and are currently struggling in World Cup Qualification play, they are not void of talent. Young striker Josef Martínez, who plays for Italy’s Torino, presents a constant scoring threat and could put pressure on Ramírez’s five-man backline alongside fellow forward Salómon Rondón, who plays in the Premier League. La Vinotinto proved in last year’s Copa América that even though it’s the doormat of South American football, it still has the ability to trip up a stronger team, as it did against Colombia a year ago. Though it’s not always true in football that the team that dictates pace will win, possession is usually a good indicator of performance. While Venezuela’s forward position is the team’s strong suit, it is somewhat weak in the midfield and on the defensive end. That should give Costa Rica plenty of room to attack the Venezuelans early and often, as it did in the last game against Jamaica, when it trounced the Reggae Boyz 3-0. 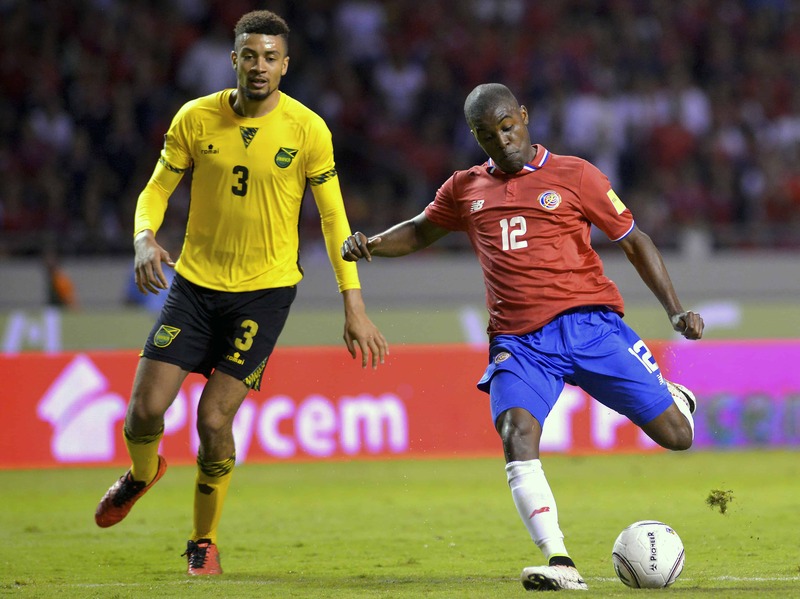 In that World Cup Qualifier game in March, Costa Rica got on the board early with a 7th-minute goal from Celso Borges, while putting a constant attack on Jamaica’s backline. Costa Rica, despite not statistically winning the possession battle in the lopsided victory over Jamaica, will again look to set the tone against a Venezuela squad that’s at a similar level to the Jamaicans. Borges and captain Bryan Ruíz remain the team’s best catalysts, while Arsenal forward Joel Campbell is the most dangerous offensive threat — a master dribbler and adept passer. The wild card on offense is Johan Venegas, the 27-year-old winger who has four goals in 15 appearances for La Sele. If he is able to spring up his play, especially his ability to finish in front of the net, Costa Rica will become very dangerous to teams in the Copa América. ¡Acompañemos a #LaSele en su partido de despedida! We already know star goalkeeper Keylor Navas will be out of action as he prepares for the Champions League final on Saturday with club Real Madrid. However, the rest of Ramírez’s Copa América roster will be available for the friendly, giving him an opportunity to play around with different looks before the games begin to count again. Ramírez’s lineups have been relatively consistent since he took over last September. Apart from the default nucleus of stars that include Ruíz, Campbell, Borges, and Cristian Gamboa, the coach has give preference to Major League Soccer defender Kendall Waston, while also giving bigger roles to midfielders Randall Azofeifa and Christian Bolaños. One of the biggest questions ahead of Friday’s game is whether Ramírez will play Major League Soccer defender Ronald Matarrita, who has started in every meaningful game under Ramírez, or whether he will start Everton defenseman Bryan Oviedo in Matarrita’s spot at left wing. If Oviedo, whose constant run of injuries kept him out of the 2014 World Cup and the 2015 Gold Cup, should get the nod, then Ramírez will have to decide if he wants to keep Matarrita as the first player off the bench or possibly slide Matarrita up to the midfield wing. The 22-year-old Matarrita, who has had a good season in his first year with New York City FC, is excellent at countering defense into opportunities on offense with his aggressive passing. But where the young left back often struggles is in one-on-one matchups on the defensive end, where he’s susceptible to getting beat by more athletic forwards. “We’ve got such great talent everywhere now that it’s one of those good problems for coaches to have,” Matarrita said Tuesday of the impending position battles, including the one between him and Oviedo. Another interesting choice for Ramírez will come at midfield. If he doesn’t slide Matarrita up to winger, then he’ll have to choose between Venegas, Azofeifa, Bolaños, and Yeltsin Tejeda for one spot next to Borges and Ruíz. If Tejeda is completely healthy, the 24-year-old who played big minutes in the 2014 World Cup should get the start, leaving a trio of solid substitutes on the bench. With a 100 percent full lineup at his disposal for the first time since he took over the job, Ramírez has a ton of options with this added depth. And as Matarrita said, that can be a great dilemma for any coach to have. It sounds strange to say that Costa Rica needs to be more consistent on defense, considering La Sele has conceded, on average, just half a goal per game under Ramírez. Yet recently against decent competition like Jamaica and Panama, both of whom will also be participating in the Copa América Centenario, the defense suffered through lapses of mistakes and miscommunication. Venezuela should provide a good test to see where this defense is really at as it heads into a tournament full of superstar forwards like Colombia’s James Rodríguez, Argentina’s Lionel Messi and Uruguay’s Luis Suárez. 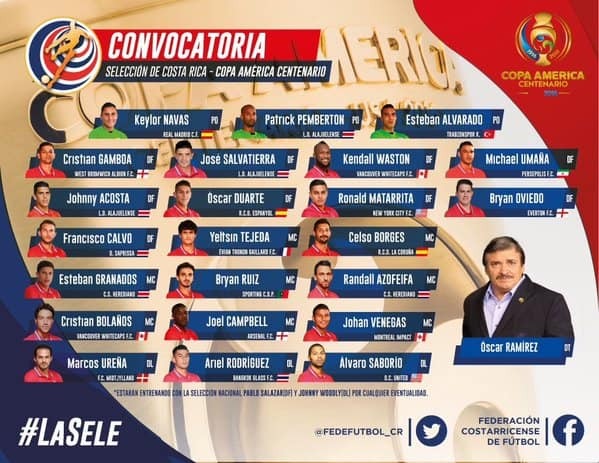 Costa Rica’s base defense with five men back is expected to feature Gamboa on the right wing, Waston, Óscar Duarte, and Johnny Acosta in the middle, and Oviedo at left wing. Ramírez surprised many when he didn’t call up centerback Giancarlo González for the Copa América, instead choosing to rely on Acosta, among others. Either way, we’ll have a better idea of how the Copa América lineups will look once Costa Rica takes the field Friday. The Ticos kick off against Venezuela at 8 p.m. local time from the National Stadium.